In 2016, a group of 6 employees based at our National Distribution Centre in Tamworth, formed a charity team, to brainstorm and implement fundraising activities to support a variety of local charities. In 2017, the group continued to be very active providing local charities with a mix of ex-stock donations and financial contributions. Motivated by the desire to help people, the Tamworth charity team plan to help more local charities in 2018. The Tamworth charity team is made up of: Jade Taft – Sector Coordinator, Amy Haskett – Regional Coordinator, Kirsty Clinton – Transport Administrator, Lynsey Temple – Stock Controller, Nakita Lovegrove – Call Centre Team Leader and Lorna Starkey – North Call Centre Agent. A series of blogs recognising and celebrating people in our business who actively support local and international community and charity projects. How was the Tamworth charity team formed? Nakita – In 2016, I approached our branch Stock Manager, Kevin Ephgrave, to see if the branch warehouse had any perishable stock approaching its sell-by date, for us to donate to a local food bank. It soon became clear that we could help more local charities with stock donations, so we decided to research other local organisations that might benefit. Kevin and I thought it was important to ask our branch colleagues which local charities we might support – we wanted this to be a branch wide initiative, where everyone had a voice. As a result, the Tamworth charity team was born! Why did you want to join the Tamworth charity team? 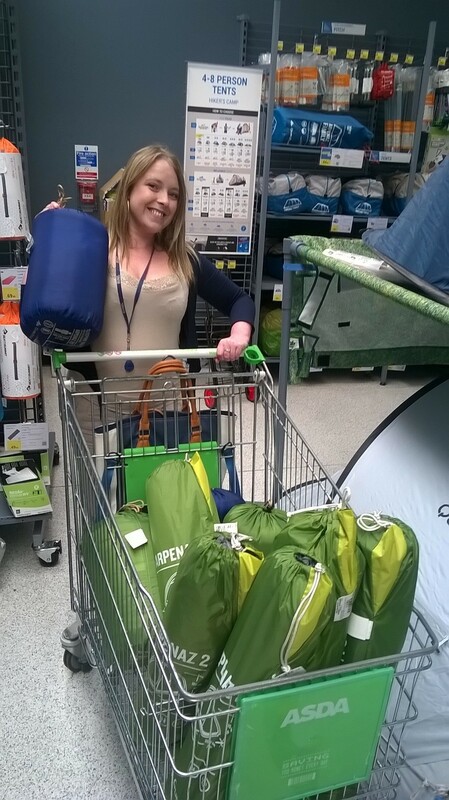 Jade – Giving to the local community is something I’m really passionate about. I want to make a difference, to do something worthwhile. Working as a team, with support from the business, we can provide practical and financial support where it’s needed the most. Nakita – For me, it is about extending our company ethics out to others in our local communities. We’re a corporate, global business but we live and work in local communities, where we know we can make a big difference. Can you give us an example of the kind of support you provide? In March 2017, we purchased 50 Easter eggs and donated them to a food bank in Tamworth that supports families who have fallen on hard times. It was wonderful to facilitate a little Easter magic for kids in the local area. Many of the families that received the eggs struggle with day-to-day provisions – so treats like Easter eggs are really special. Also in 2017, we helped Starfish, a charity that runs three drop-in centres in Tamworth, for people who are homeless, with a drug or alcohol addiction, with learning difficulties or mental health issues – or anyone with any sort of problem where they require local support. We provided Starfish financial help to purchase basic shelter equipment and provisions, like pop-up tents and sleeping bags, mats, blankets, clothes, socks and shoes. 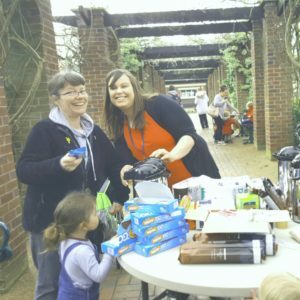 Why do you feel local charity work is so important? Nakita – I believe that we should take responsibility for our local environment and our local community. There’s been a focus in our business in 2017 on creating a Sustainable environment – and part of that has been about protecting, caring for and celebrating our people, not just in our branch but in our local community too. I think that putting people first is a natural part of good business – and that means providing help and support in the local community where it’s needed. What is your most memorable experience to date? Jade – Seeing how our support is making a real difference to people’s lives has been a great part of being in the Tamworth charity team. But the most memorable part, for me, has been meeting the people who make these charities happen, their passion and commitment is truly inspiring – they are ordinary people doing extraordinary things, it’s remarkable! 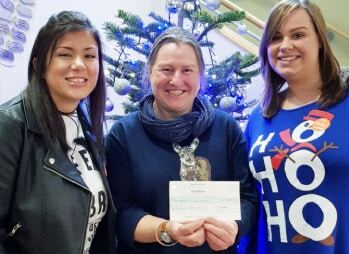 Feature image: Kara Hartless (left) and Amy Haskett (right) presenting a cheque of £250 to a representative from St Giles Hospice (centre). Bunzl Catering & Hospitality Division is excited to be the Headline Sponsor for National Waiters’ Day, to be held on 16 May 2018 at Hyde Park in London. On 13 March 2018, 27 volunteers from businesses in the catering and hospitality industry began a once in a lifetime trek with charity Springboard to help a local community in Vietnam.